Don’t let these above average temperatures fool you — it may be 5 degrees now, but winter is coming. So, if you are still weighing the pros and cons of replacing your old, unreliable furnace, the time has come to make the decision and invest in a new furnace before it’s too late and you’re left in the cold. 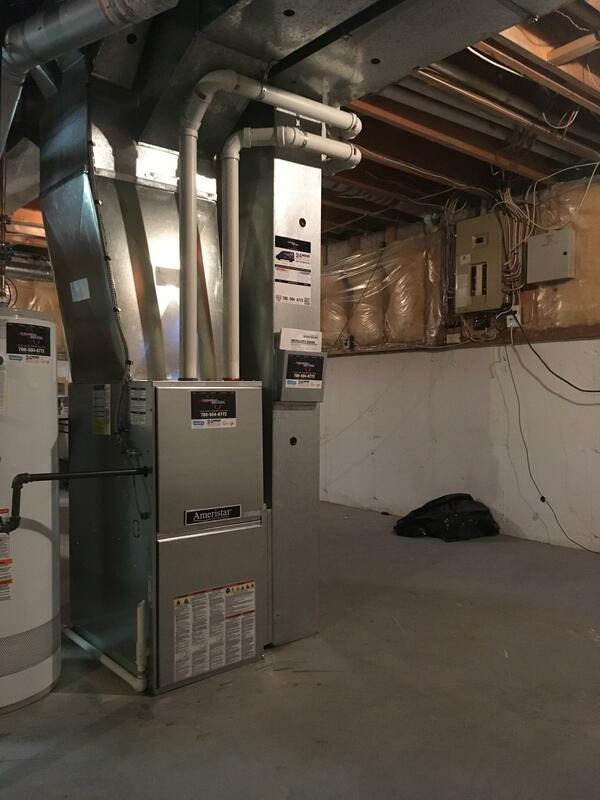 Here at Furnace Solutions, we really love Ameristar furnaces as an economical, efficient, and powerful solution for a residential furnace installation. Replacing your old furnace with a new Ameristar will ensure you are comfortable and warm all winter long. Ameristar furnaces are a great solution if you are looking for something reliable for the best possible price (and who isn’t, right?). Ameristar produces high-efficiency furnaces at exceptional value, and can be used with natural gas or converted to be used with propane. And because Ameristar furnaces work with your central air conditioner system, it will circulate cool air in the summer, which means it doesn’t just keep you comfortable in the winter, but all year long. Ameristar is manufactured by the same company as Trane, so that means you can rest assured that you are getting the same great quality parts, at a lower price point. Trane tends to offer more features and maximum energy efficiency, but Ameristar brings reliability and quality within a tighter budget. And the best part is that because Ameristar is a branch of the same company as Trane. So, you get the peace of mind that when you hire Furnace Solutions to install your Ameristar furnace, your HVAC experts are certified Trane installers. Your furnace will be installed quickly and correctly, down to the finest detail — ensuring the best possible performance and the longest possible life for your new furnace. Why Call a Professional HVAC Technician instead of Fixing it Yourself Help! I Need a New Air Conditioner!